The Windermere Ferry is now running again. 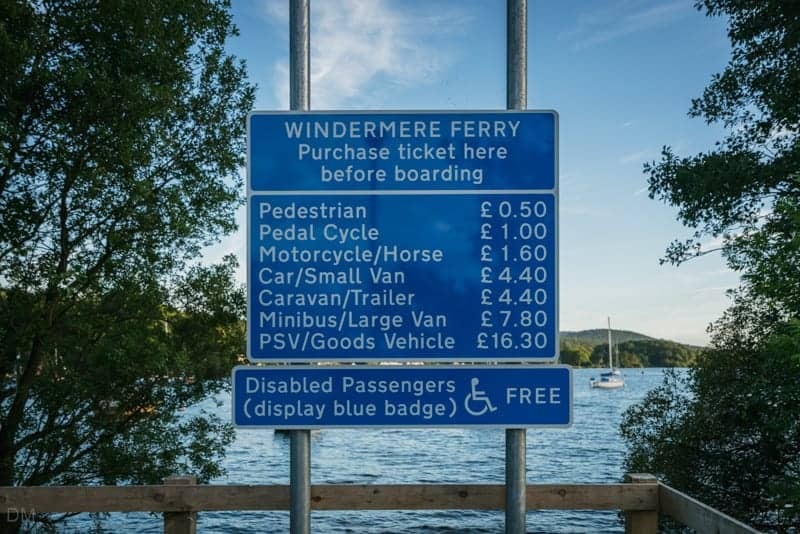 In May 2018 the Windermere Ferry was damaged by a fire and closed. It reopened on October 27 2018. The Windermere Ferry connects the eastern and western shores of Windermere. It has been operating for more than 500 years. 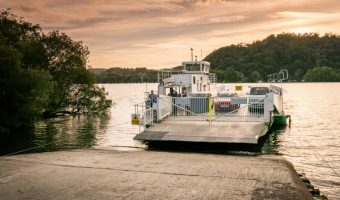 The ferry is operated by Cumbria County Council and runs across the narrowest part of the lake; from Ferry Nab near Bowness to Ferry House on the western shore. The ferry operates every day except Christmas Day and Boxing Day. Its timetable sees crossings begin around 6.50 am and end at 9.50 pm (8.50 pm in the winter). There is a service from one side to the other every 30 minutes. The current vessel, Mallard, can carry 18 cars and over 100 passengers. Queues can build up in the summer but it’s a pleasant trip and a good way to get to Hawkshead and Grizedale Forest from Bowness or Windermere without driving round the lake. At the time of writing (November 2018) the price for a single ticket for a car and its passengers is £4.40. The fare for a pedestrian is 50p. Bikes, motorbikes, and caravans plus minibuses, goods vehicles, and coaches (weighing up to 8 tonnes) are also permitted. From March 2018 passengers pay on the ferry by card or cash. The unpopular ticket machines on the shore have been discontinued. The ferry usually closes for a month every 5 years for a refit. During the summer months a minibus service (the Cross Lakes Experience) runs from Ferry House to Hawkshead, calling at Beatrix Potter’s Hilltop House. Leisure cruises on Windermere (between Bowness, Ambleside, and Lakeside) are offered by Windermere Lake Cruises. To find the Windermere Ferry with a satellite navigation system use the postcode LA23 3JH for Ferry Nab or LA22 0LP for Ferry House. The map below shows the route taken by the Windermere Ferry. Click here to see an interactive map with Google Street View and other features. Monday 11 June 3.30 pm. We drove via Hawkshead especially to use the ferry. Well at least the ‘closed’ sign was on saving us the last 6 miles each way. Check the website and it says “every 20 minutes”. Nothing about a closure on a lovely sunny day. Terrible! Keep the ferry open. Cater for the cyclists and walkers, not just the motorists. Your web site home page needs to have a space announcing the closing of the ferry for weather conditions or repairs. People can use their computers, tablets, smart phones and check to see if the ferry is running and not waste time and fuel only to arrive and find it closed. As of tonight, May 2, 2017, the ferry has been closed for four days and no where on the internet could I find any reason for the closure. There should be some sort of web page that notifies people online when the ferry is closed due to problems with the ferry or due to severe weather conditions. Your information needs updating as prices have increased and more importantly you have to buy your ticket before boarding from ticket machine near the ferry. Also you need correct money. This ridiculous change was implemented by the council without consulting the public. The details have been updated. We have done. Tickets are purchased onboard. I tried to use the service today, Sunday 13 March 2016. I drove all the way there from Coniston only to find It was CLOSED!!! Don’t you think it would have been a good idea to let drivers know by switching on the ‘Ferry Closed/Open sign. To say I’m bloody annoyed is an understatement! A complete waste of my time and fuel. This ferry service is punctual and efficient. I wanted to reach the steamer boat trip on Conniston waters before the final sail of the day. It cuts down my journey time and has proven to be a relaxing element of my trip. 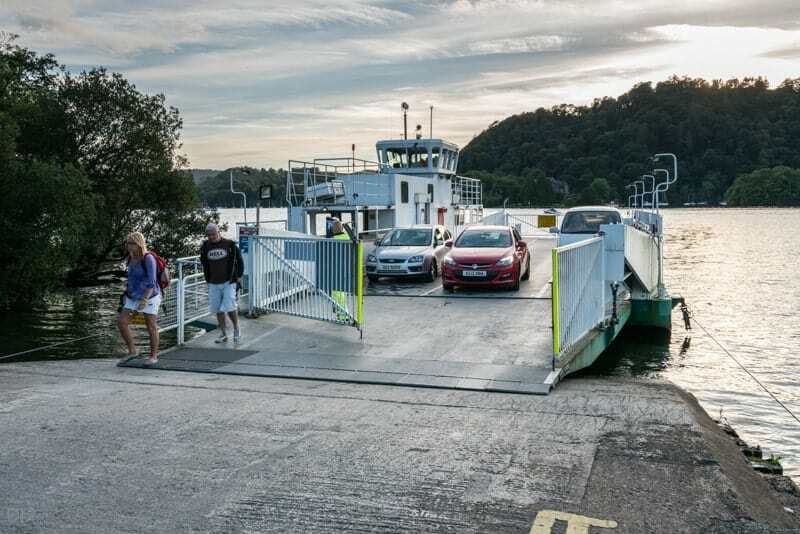 The ferry is charming and a long running tradition. It also cuts the journey down from one side of Lake Windermere to the other after you have visited the attractions of Beatrice Potter, Hawkshead and Grizedale Forest. The Windermere car ferry is now running again. It was closed from late April to the end of May for its 5-year refit. Many now question its viability, given improved transport links around Windermere such as the A591. This ferry needs to stay open! What about the cyclist and us walkers that want to do the lovely lakeside walk up to Wray Castle from the Ferry crossing. The steamers only run through the summer and are too expensive to incorporate into the day anyhow. If it wasn’t needed, there wouldn’t be the queues. 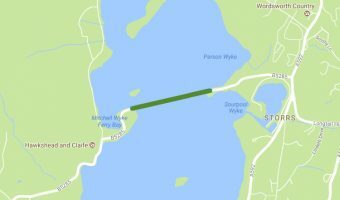 Interactive map showing the route taken by the Windermere Ferry. Shows location of Ferry House and Ferry Nab plus nearby points of interest. Eastern pier of the Windermere Ferry.